Let these bracelet components help you bring an entire look together. Here you'll find what you need to begin creating a fun piece of jewelry perfect for a day at work or a night on the town. Whether you're looking for finished silver bracelets, bangles, base metal or even cuffs, you're sure to find something to fall in love with. Just add your favorite charms, crystals, or even glass beads, and you'll have a piece that is sure to be cherished. For beautiful bracelet inspiration, visit our Design Studio. Start designs with a modern look. This simple TierraCast bangle is finished with a wide wrapped loop on one end and a hook on the other end that easily attaches to the loop. The inside diameter of the bangle is approximately 2.4 inches, so it will fit most wrists. Stack multiple for a fashionable statement or add charms to one for a personalized look. You'll love adding this bracelet to your style. It features a versatile silver color that will complement any color palette. Create stylish bracelet designs with this bangle. This bangle features a double wire design with a closure that's easy to hook and unhook. The unique design gives you lots of possibilities. Wire wrap around this bangle, showcase beads between the two wires, add simple charms and dangles, and more. 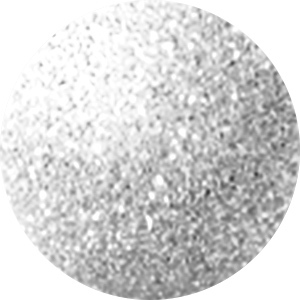 The beautiful silver shine is a versatile complement to any color palette. For quick jewelry designing, try this finished bracelet from Artbeads. This bracelet is a complete and finished jewelry piece, including a secure and stylish toggle clasp. The accommodating flat round links are perfect for adding your favorite charms. Simply use jump rings to add the charms you want and this bracelet is ready to wear. It's the perfect option for designers on the go, beginners, and more. You'll love the bold chain and the bright and versatile silver shine. Create fun styles with this Nunn Design bangle bracelet. This bracelet features a classic round shape made from 10 gauge wire. You'll love slipping this bangle on and off. With an inner diameter of 2.5 inches, this is an ideal bangle for smaller wrists. Wear it as-is or decorate it with wire-wrapped designs, beaded dangles, charms, and more. This bangle bracelet features a versatile silver shine that will work with any style. Create fun styles with this Nunn Design bangle bracelet. This bracelet features a classic round shape made from 10 gauge wire. You'll love slipping this bangle on and off. With an inner diameter of 2.5 inches, this is an ideal bangle for smaller wrists. Wear it as-is or decorate it with wire-wrapped designs, beaded dangles, charms, and more. This bangle bracelet features a regal golden shine full of classic beauty. Create fun styles with this Nunn Design bangle bracelet. This bracelet features a classic round shape made from 10 gauge wire. You'll love slipping this bangle on and off. With an inner diameter of 2.5 inches, this is an ideal bangle for smaller wrists. Wear it as-is or decorate it with wire-wrapped designs, beaded dangles, charms, and more. This bangle features a rich copper color full of warm style. Dress up your style with ease using this TierraCast bangle bracelet. This simple bangle is finished with a wide wrapped loop on one end and a hook on the other end that easily attaches to the loop. The inside diameter of the bangle is approximately 2.4 inches, so it will fit most wrists. Stack multiple for a fashionable statement or add charms to one for a personalized look. You'll love adding this bracelet to your style. It features a golden brown shine full of vintage appeal. Quick, classic style can be yours with this TierraCast bangle bracelet. This simple bangle is finished with a wide wrapped loop on one end and a hook on the other end that easily attaches to the loop. The inside diameter of the bangle is approximately 2.4 inches, so it will fit most wrists. Stack multiple for a fashionable statement or add charms to one for a personalized look. You'll love adding this bracelet to your style. It features a brassy gold shine that would pair well with classic colors. Try creating quick style with this TierraCast bangle bracelet. This simple bangle is finished with a wide wrapped loop on one end and a hook on the other end that easily attaches to the loop. The inside diameter of the bangle is approximately 2.4 inches, so it will fit most wrists. Stack multiple for a fashionable statement or add charms to one for a personalized look. You'll love adding this bracelet to your style. It features a regal golden glow. Pair it with navy blue, royal purple, or crimson red colors. Start off with a stylish foundation for your jewelry designs using this finished bracelet. This bracelet is a complete and finished jewelry piece, including a secure and stylish toggle clasp. The flat round links are perfect for adding your favorite charms. Simply use jump rings to add the charms you want and this bracelet is ready to wear. It's the perfect option for designers on the go, beginners, and more. You'll love smooth chain links and the versatile silver color.